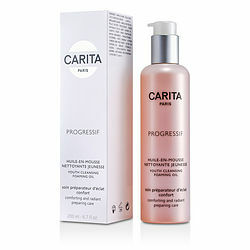 Carita perfume by Carita is a casual woman's scent that was introduced in 1996. It is a modern, sophisticated fragrance that is sure to show off your feminine side. It features upper notes of bergamot, jasmine, and rose buds, which are combined with low notes of amber, white musk, and heliotrope. Carita is ideal for a day out on the water or a day in the office. Just one spritz on your pulse points will last all day.